Rapidly emerging as one of Hollywood’s most engaging and sought-after talents, Israeli-born actress Gal Gadot (Fast and the Furious franchise) plays Diana Prince aka Wonder Woman in Warner Bros. Pictures' epic, action-adventure Batman v Superman: Dawn of Justice. She's starring opposite Ben Affleck as Bruce Wayne/Batman and Henry Cavill as Clark Kent/Superman. Though the Amazon warrior’s appearance is brief, her timing is impeccable, and she definitely intrigues both Batman and Superman. 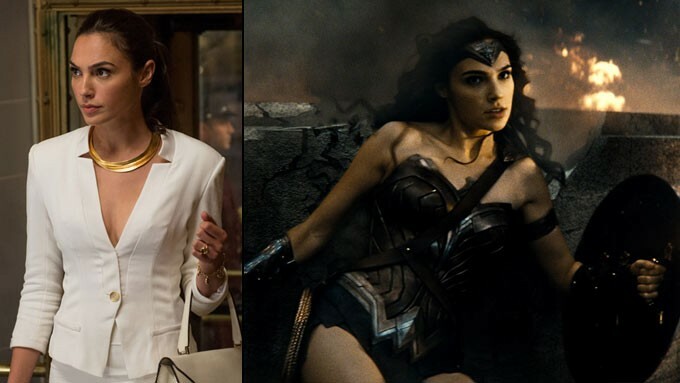 Gadot is currently in production in the dual role of Diana Prince and Wonder Woman in the character’s first feature film, set for release in 2017. In 2009, Gadot appeared in her first U.S. feature as Gisele, Vin Diesel’s love interest in Fast & Furious. She returned as Gisele in Fast Five and Fast & Furious 6, and was last seen in the seventh installment, Furious 7. Born in Tel Aviv, Israel, Gadot won the title of Miss Israel and went on to represent her country in the 2004 Miss Universe beauty pageant. She soon began her acting career, playing the lead role in the Israel TV series drama Bubot (Dolls). Opening across the Philippines in IMAX, Dolby Cinema, 3D and 2D theaters on Black Saturday, March 26, Batman v Superman: Dawn of Justice is distributed worldwide by Warner Bros. Pictures, a Warner Bros. Entertainment Company.